Submit feature requests, vote, comment, and collaborate with other Listrak users to help improve Listrak. Help us improve our software by suggesting ideas and improvements. Your feedback helps us make Listrak better. 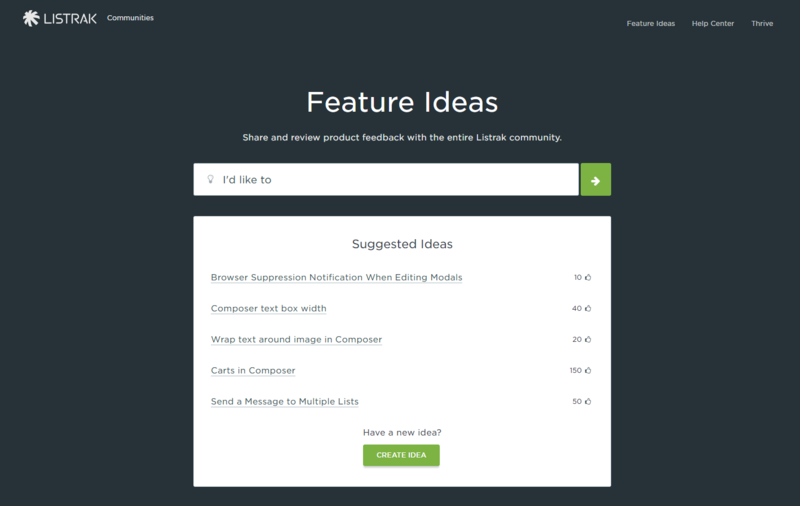 Submit feature requests, vote, comment, and collaborate with other Listrak users. Share and review product feedback with the entire Listrak community. We monitor requests to organize the forum and provide feedback, prioritize development needs, and to provide support when needed. 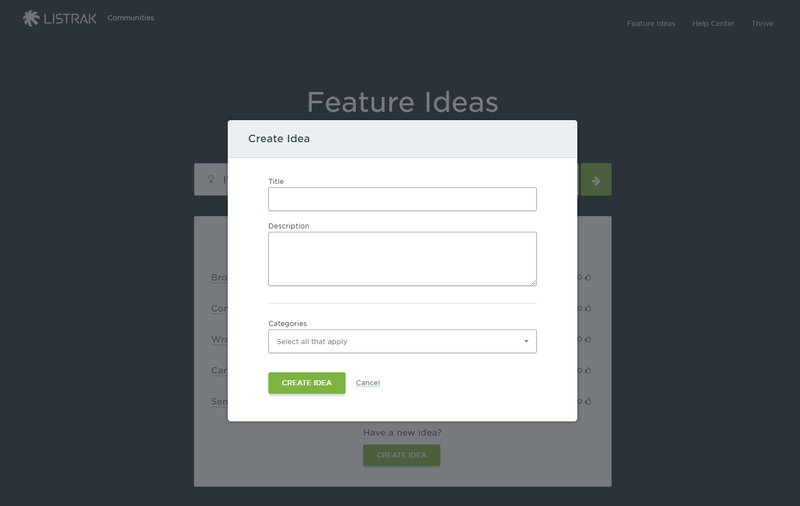 Navigate to Support, then Feature Ideas (previously Feature Request). If a similar idea already exists within the community, you'll see a list of suggested ideas to click, comment, or vote on. If your idea hasn't been submitted yet, choose create idea. Select relevant categories to help others find your idea. 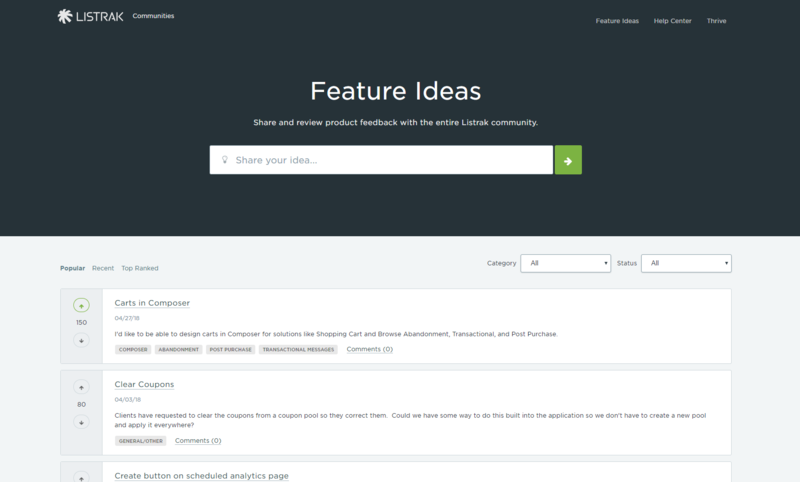 Use the filter options to view Popular, Recent, and Top Ranked ideas, as well as ideas sorted by Category and Status. Up-vote or down-vote ideas using the up and down arrows on the left-hand side of the listing page or the idea page. Edit or delete your ideas from the idea page.